A few months ago, I wrote Andrea to share my first response to her book: "I wish everyone who submits a question to me for a spirit guide reading would read your book first!" Since voicing that wish, I've been blessed by new visitors who've found me via Empowered Soul and corresponded with me about connecting with their guides. Andrea's readers share a common feature that makes them stand out from the crowd of spiritual seekers -- they arrive already empowered with a conscious, insightful spiritual vocabulary. I feel that an author's highest intention should be to share her world view with you in such a way that you learn to speak her language -- you absorb her vocabulary and come away with the ability to apply it to your own life. Unlock Your Intuition by Andrea Hess gives me a sense of relief -- "Somebody's already explained all This Stuff!" 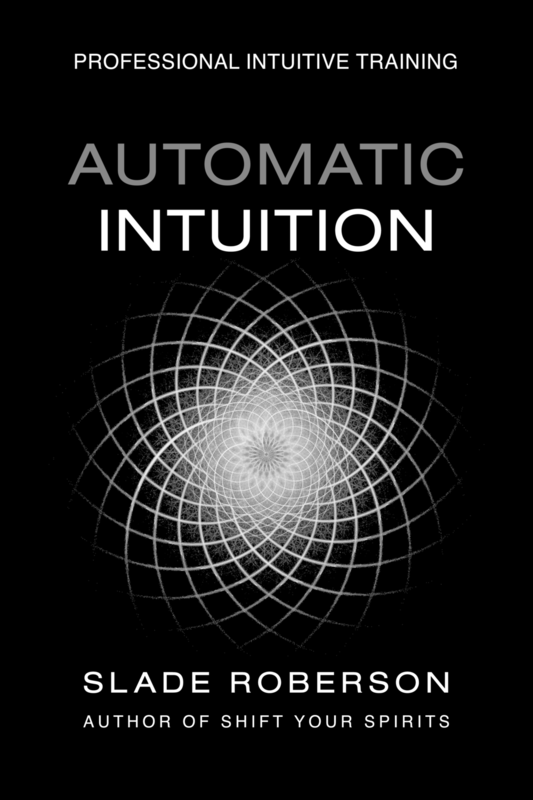 If I taught a course on developing intuition, this would be the required text book. Frankly, in this day and age of blogging, I feel that some of the best-known books out there about spiritual development, developing your intuition, or using your inherent psychic abilities are nice -- but that's it. They're just nice. They present a nice overview of general concepts… Best-selling authors like Laura Day, Doreen Virtue, Sonia Choquette, Richard Webster, or Sylvia Browne wrote ground-breaking books, mostly in terms of when they were published. Were these authors to come on the scene at the same time Andrea did (in the last few years) the general material they have published wouldn't cut it in my opinion -- they could give away the same information through blogs. Most established authors in the New Age market still don't blog, and the few who do have web sites do not offer anywhere near the amount of original, on-going, free content that Andrea does via her Empowered Soul blog. What is Intuition? What impressed most about Unlock Your Intuition is the amount of additional, practical detail Andrea shares. This is not "re-hash" or re-purposed blog posts put to paper -- 90% of the meat of this book goes into areas way beyond what you'll find on Andrea's web site. This is a relatively "short" book at 130 pages -- but it's not 100 pages of "You should use your intuition. Intuition is really cool. See, I wrote a book about it." The overviews and chapter introductions are informative and brief -- but this is a workbook. I read Unlock Your Intuition for the first time, in one sitting, about three months ago. But I've been working with it since that time. Divination Basics -- Dowsing One thing that may not be apparent from the book's jacket cover description is the degree to which dowsing plays a significant role. To really make the most of this material, you'll need a pendulum. Fortunately, I had a really cool citrine crystal pendulum from my days as a jewelry buyer for a metaphysical bookstore. I happily dug it out of the treasure box where it had been languishing for a decade. Years ago, when I was more actively experimenting with divination tools, I tended to be more of a card reader. About five years ago, another psychic (as well as my guides) told me to put away all forms of divination tools -- I had outgrown them. But they were a significant part of my intuitive development. Having a divination practice as a foundation is a great place to start, and a skill you can fall back on from time to time for confirmation. Working with Discorporate Entities -- Spiritual Guides, Teachers, and Grandma The relationship between intuition and communicating with your spirit guides is not overlooked. Andrea's psychic process and her system of profiling spirit guide teams is noticeably different from my own -- but I delight in the opportunity to "compare notes." I learned a lot from the overlap in how I approach spirit guides. I would recommend that the best recipe for effectively working with your spirit guides is to read what different people have to say on the subject, and then stir all those ingredients together -- with a big healthy dose of what resonates with you. As you may also know from my recent confessions, I generally feel that I've already spent a lifetime saturated with books on alternative spirituality and new age topics; not to mention, my "day job" as a blog marketing consultant is dominated these days by working with other post-modern mystical authors -- obviously, I make reading and evaluating my clients' material a priority. For these reasons, alone, I'd call myself the toughest audience any contemporary mystical author could try to reach. For the record, Andrea is not my client, she's my friend -- but I'm still a huge fan. So, I'm thrilled to be able to congratulate her on this excellent achievement. I can whole-heartedly endorse this book. When was the last time I recommended you go out and buy another author's work? I don't run Google Ads, I don't have a blogroll a mile long, and I don't stuff my posts with affiliate links (you surf the web, you know there are tons of opportunities for me to do so, if I chose to go that route). I strive to maintain the highest credibility possible, so that you can trust my recommendations, when I make them. If you've already read the book, please share your review in the comments below.